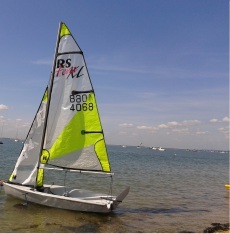 RS Feva XL sail number 4068. Includes XL mainsail, 2 jibs, gennaker, cover and wide wheel launching trolley. New hull 2012. We now have a small committee to organise redecorating the main and commodore bar. If you have any ideas on carpets ,curtains blinds , flags ,pictures etc and would like to join us and have an input in how our club looks please let me know asap. We have a work party planned for the 7th of March starting at 9am onwards. Please come along if only for an hour , every little helps. Usual tasks tidy dinghy park, race box etc, plenty of tea and coffee everyone welcome. 2015 race duties are published in Dutyman today. Dutyman is emailing the 230 duty-holders with their allocated duties and dates. The majority are allocated 3 or 4 duties per year but some volunteer to do many more. Each email contains an individual password log-in link to Dutyman. (if you haven’t done so already, please save that link in your Favourites or Bookmarks for future instant access). Please log-in to Dutyman immediately on receipt of your duty list and ‘confirm’ your duties under the ‘confirm your duties’ tab. A blue tick will appear against your duties. You can still swap your duties later even though you have confirmed them. There are a few duty-holders without email addresses in DutyMan. These members will receive their duty listing separately with their Handbook. There will be a fresh a la carte menu available, with full table service. I’ve got some lovely steaks coming in which I will serve with macaroni cheese, and a smoked haddock and mussel chowder, amongst other tempting treats. We have introduced these two new items on the Side Navigation bar of this website. This has consolidated information that was already available in that area. We have however added more information relating and required for Racing, and expanded information for anybody completing a Duty. Sailing Instructions and Race Mark layout for this years new season will be updated in the next few months. The Club Calendar on the sidebar has also been updated for 2015. Full Programmes will be sent out soon. We don’t want to see all the articles in Newsbuoy from just General and Sailing Committee members as we know there are loads of members doing some very interesting things. We will be producing an edition for Spring and would value your input. The magazine is valued and enjoyed by many, why not be a part of it.